As the Empires of Faith project draws to its close, we are pleased to announce a three-day conference as our concluding event. 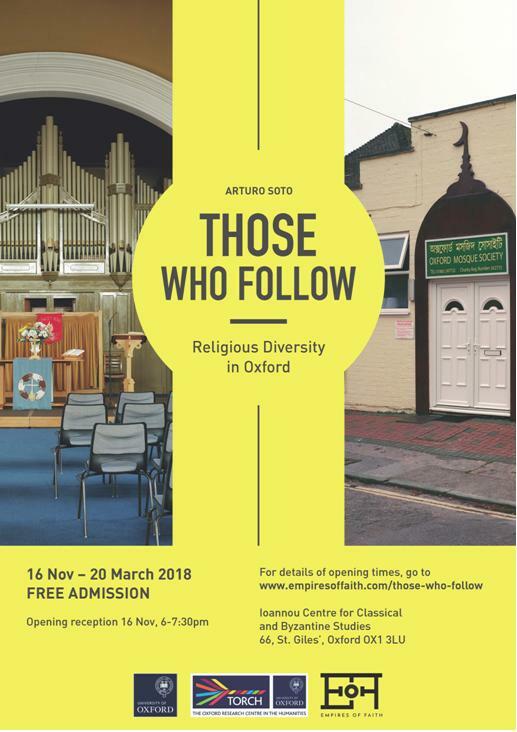 Ioannou Centre for Classical and Byzantine Studies, 66 St Giles’, Oxford. Please note that registration for the conference is now closed. The conference brings together early career researchers and established scholars of the art and archaeology of Late Antiquity (c.AD 200-800), across cultures and regions reaching from Gupta India to Umayyad Iberia, to discuss how objects can inform our understanding of religions. Major transformations are visible in the production of religious art and in the relationships between people and objects in religious contexts across the ancient world during this period. These shifts in behaviour and formalising of iconographies are visible in art associated with numerous religious traditions including, but not limited to, Buddhism, Christianity, Hinduism, Islam, Judaism, Zoroastrianism, religions of the Roman Empire, and paganism in northern Europe. Studies of these religions and their material culture, however, have been shaped by Eurocentric and post-Reformation Christian frameworks that prioritised Scripture and minimised the capacity of images and objects to hold religious content. Despite recent steps to incorporate objects, much academic discourse, especially in comparative religion, remains stubbornly textual. During the first day of the conference, speakers will consider how artefacts can shape our understanding of the development of religions in Late Antiquity. Questions surrounding how interactions with other cultures and religions informed those developments are of particular interest. The second day will use an explicitly comparative structure of joint presentations to explore the role of artefacts in themes and phenomena relating to religious life. In association with an exhibition at the Ashmolean Museum curated by the Empires of Faith team, entitled Imagining the Divine: Art and the Rise of World Religions, this conference seeks to explore the ramifications of placing objects first and foremost in comparative study of religions in Late Antiquity, and to consider the potential for interdisciplinary conversation to reinvigorate the field. – How can we understand late antique religion from artefacts? – What factors contributed to the development of religious iconography during Late Antiquity? – What modes of interaction between people of different cultures and faiths are visible in the creation, commissioning, and use of artefacts with religious significance? – How flexible were the meanings conveyed by religious imagery and the uses of objects in sacred contexts? – In what ways can we conduct a comparative exercise, and what are the benefits and challenges of such discussions? Drinks reception followed by a private view of the Imagining the Divine: Art and the Rise of World Religions exhibition, Ashmolean Museum. 09:45 Material Religion in comparative perspective: how different is BCE from CE? 19:00 Conference party. All welcome. Registration is free but essential as space is limited. Lunches and refreshments are included in registration. All delegates are invited to join the speakers for informal dinner and drinks at the end of the conference, Saturday 13th, but this is not funded by the conference. We are very grateful to the generous sponsors of this event: the John Fell Fund; The British Museum; The Oxford Centre for Byzantine Research; Centre for the Study of Greek and Roman Antiquity at Corpus Christi College, Oxford; and the Institute of Classical Studies, University of London.